The concept of a touchscreen device along with a slide out keyboard is hardly new, but it is one that Research In Motion has embraced finally. 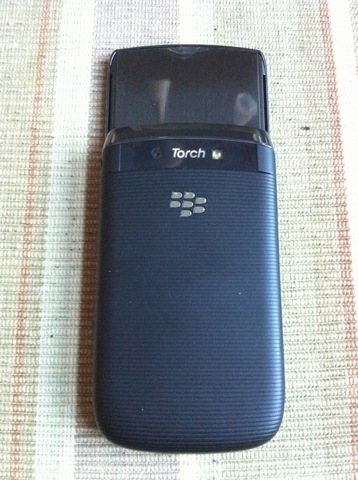 The BlackBerry Torch 9800 combines the best of both worlds. Those who demand a physical QWERTY keyboard, and those who desire the ease of a touchscreen should be satisfied with the Torch. You immediately notice how nice the phone is once you open the box and pull the device out. A shiny bezel greets you along with the new standard optical trackpad. The battery cover has a slightly rubbery feel to it, but provides grip and is ribbed giving it an interesting look. All of the standard items that you have come to expect come along in a nice, compact package that is probably the nicest to date. 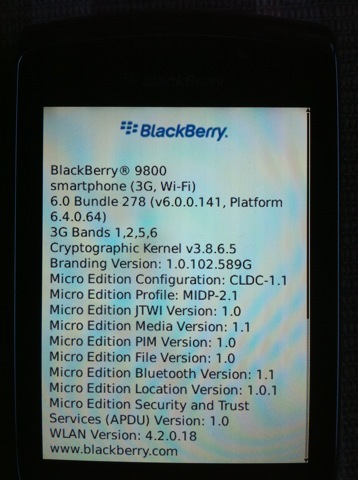 RIM has done it again building a solid device. The phone is very solid in hand, and is a comfortable shape for average sized hands. When the device is closed, it seems fairly compact. When you slide the keypad out, it becomes rather large, and can appear a little top heavy. I have noticed that when the screen is closed, there is a little give between the screen and the rest of the phone. I would imagine that this is part of the slider mechanism, and could not be 100% rigid. Speaking of sliding, the slider is good and bad at the same time. Good in the sense that it opens and closes smoothly. The bad part, at least for me, is that there is really no easy way to open the device, especially one handed. There isn’t really a lip or anything that protrudes off the face of the phone for your thumb to grip. I was left having to use both hands and sliding it using the outer bezel of the phone. With the fear of dropping this expensive phone, I resorted to my awkward method which was a huge disappointment. It is hard to compare this phone against another BlackBerry since there are no similar devices to compare it to. Closed, it feels smaller and lighter than the Storm/Storm2, and is more the height of a Bold/Bold2. Open, it feels much bigger than all phones mentioned. I had no issues at all using this as a phone. RIM has never really sacrificed the phone aspect of their devices. Calls can be made with either the keypad open or closed. The phone can also be closed from the open position while on a call which is a nice option. OS6 is a big change from the previous OS. There are several really nice options like a universal search option that lets you look everywhere on the device, along with the internet and other applications like YouTube, Yellow Pages, etc. The OS is very clean looking with updated icons and several hotspot areas on the touchscreen. The OS needed an upgrade, but I feel that it still falls short in comparison to the other smartphones out there that are starting to really dominate the market. The screen is very customizable, allowing the user to select either 1,2,3 or 4 rows of icons on the screen, or a totally clean look with no icons. Simply slide the bar up or down for whichever you would like. The keypad is a huge welcome in a world of mostly touchscreen devices. Not everyone wants an all touch device. This is where RIM has excelled. The keypad is very similar to the 9700 Bold/9650 Bold 2 and is crisp and clean. It has a very familiar feel to it. You are on a new device, but yet you still feel like you are at home. They keys are solid and have great feedback to them. The only downfall to the keypad is that the bottom row of keys can sometimes be a little tricky to press since the lip of the phone sticks out slightly. This may not be an issue for everyone. There have been quite a few complaints that the screen is not as clean and crisp as other phones out there currently. I found the screen to be rather nice, and the use of the real estate on the screen to be well thought out. Several hotspots on the screen make navigation through the phone rather easy. Everything from profile management to notifications to your connections can be accessed with a simple screen press. The screen works very well, which was a huge surprise. After using a Storm for several months, I wasn’t really expecting much from the Torch, but I was pleasantly surprised to use the screen. Internet browsing was a huge improvement compared to previous BlackBerry phones that I had used. As I sit here trying to decide what my final verdict on this phone is, I keep going back to my original thought. This really is what the Storm/Storm2 should have been. I feel like RIM might be a little too late to the game with the Torch. 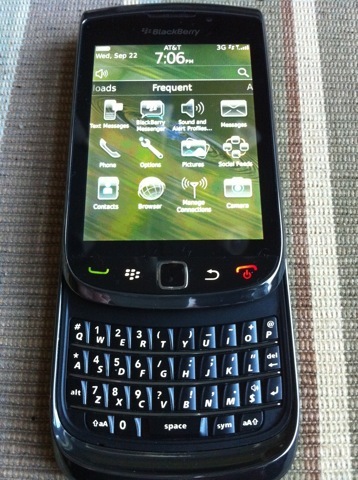 If this phone had been released in place of the Storm, I think that RIM would still have a chance. The game has been stepped up by Apple and by the hugely popular Android OS, and I really don’t feel like the Torch can compete. The chances that someone will move from their iPhone 4, HTC Incredible or Galaxy S to the Torch is pretty slim. It is a shame really, because RIM finally got their act together, but their timing is just a little bit off. About the author: Dan R. View all posts by Dan R.